Those of you that have been in recruitment long enough remember a day when we used to be able to post to a job board or two and receive a bevy of resumes. I’m talking posting jobs before we had to pray that anyone would be interested in our opportunities. A lot has changed since that time, and yet I can be assured that every month of every new year there will be some focus on the methods we utilize to attract candidates. Some say we need to focus more heavily on big data and analytics. Others say attracting top talent is near impossible because we are experiencing a talent shortage. Whatever your opinion on the subject, I think we can all agree that spending your recruitment budget on job board advertising alone is probably not going to cut it that much longer. We are looking at a new frontier of the modern workforce- where a specific and targeted mix of advertising is utilized to get the word out about open positions. Along with the specific and targeted mix of advertising is a continued emphasis on company’s having a consistent and attractive digital presence. It simply means that organizations need to become clear about who they are and what value proposition they are offering candidates for joining their company. In the past, the candidate-employer relationship was guided by what the employer wanted and most experts urged candidates to yield to the company’s wants rather than encouraging them to fulfill their own wants and needs. So, here’s a question do we continue to relentlessly push information to candidates or do you we put the right content and advertising out there to organically have them gravitate to us? Today, we have a much more savvy and empowered candidate that knows their worth, how they should be treated and what they need to be excited about their next opportunity. Employers now find themselves uncomfortably on the other side of the fence trying to figure out how to hire the right people for the right opportunities while managing the overall brand on and offline. Employers need to do less pushing of information and more pulling. Successful companies understand that a solid and favorable brand does all of the broadcasting for you. How you present the value of working for your organization and interact with prospective candidates during both the pre-application and post application cycles is crucial to attracting the best and brightest. None of this can be accomplished in a vacuum. The key to putting all of this into practice is having the right tools and a solid recruitment strategy for getting the word out about your company and opportunities. Like a good marketing campaign, great detail is given to each facet of the campaign to ensure that the message is clear, consistent and attractive. Make sure you have viable job postings that are concise yet engaging enough that they encourage candidates to spend more time on your site learning about the company. Be both flexible and intentional about where you advertise positions. Keep a watchful eye on referral sources to make sure that you are spending your recruitment advertising budget on the sources driving traffic to your website and generating viable candidates. If you have one, use your ATS to your advantage. There’s no shortage of HR Tech vendors that allow for ways for you to create recruitment campaigns that are shared not just on job boards but social media and variety of other platforms. Don’t hog all of the creative fun, allow for ways for the candidate to be creative in how they pitch themselves to you. Like with iCIMS Video Screening, the candidate can select to send a brief video message to recruiters and hiring managers further explaining why they are a fit for the position they are applying for. The year of the candidate is upon us- will you decide to “push” or “pull”? Janine’s career spans over nine years in HR and Talent Acquisition. She holds a B.A. in Psychology from Hofstra University and five advanced human resources certifications from Cornell University’s School of Industrial and Labor Relations. Her HR travels have taken her through the world of pharmaceuticals, healthcare, staffing and now science R&D. Janine is a respected voice & leader in the HR community both among her peers and people she has had the good fortune to help. 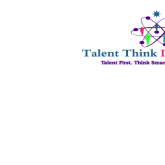 It is through the trials and tribulations of her career travels and her passion for Talent Management that she created Talent Think Innovations, LLC in January 2013. Her aim is to move the discipline of HR from being transactional and compliance-ridden to a discipline that is a catalyst for innovation and a valued business function in organizations. The intention is to get businesses back to the basics of making talent their first priority. It is her belief that this one action- when done genuinely will make for a productive and happy workforce. From guest hosting Twitter chats to webinars, she proves that innovative HR has value and is fast becoming the new business imperative. Connect with her on LinkedIn and Google+. Visit her blog The Aristocracy of HR. Follow her tweets on Twitter @CzarinaofHR.